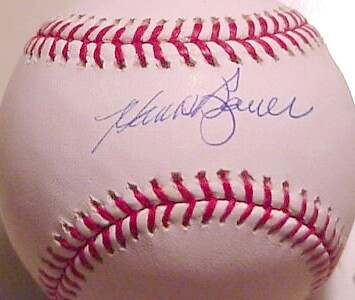 Official Rawlings American League baseball autographed by the late former New York Yankees slugger Hank Bauer. In superb condition for its age with no fading or discoloration. With certificate of authenticity from AutographsForSale.com. ONLY ONE IN THIS CONDITION AVAILABLE FOR SALE.